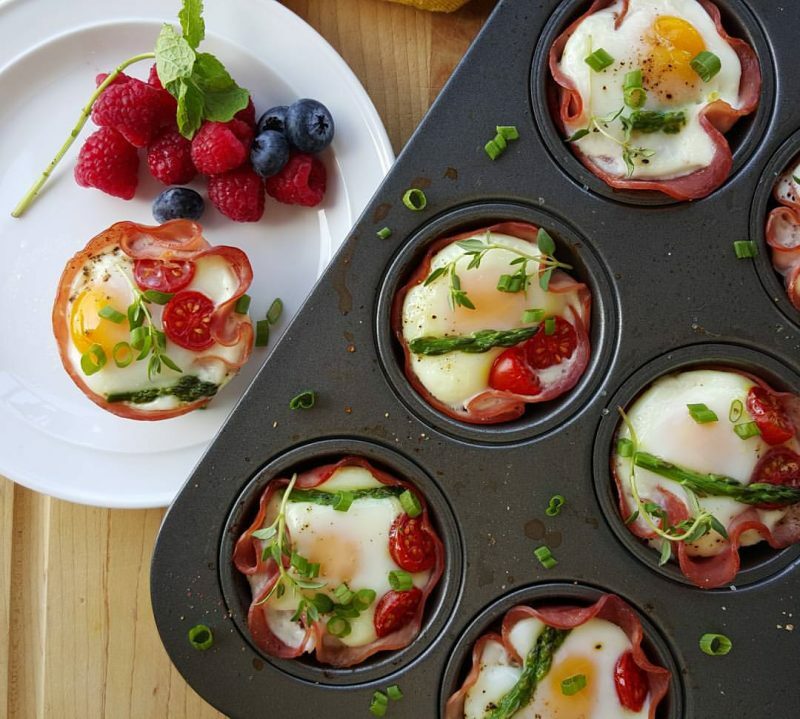 Weekend Brunch or Food Prep idea! 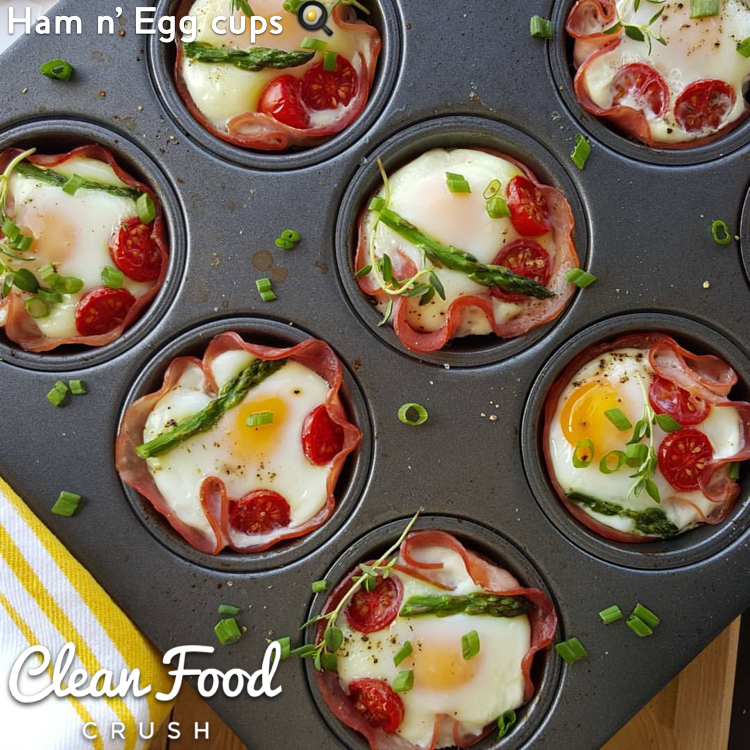 Spray or coat regular size muffin tins with olive oil. Place one slice of ham in each tin, to form a cup. 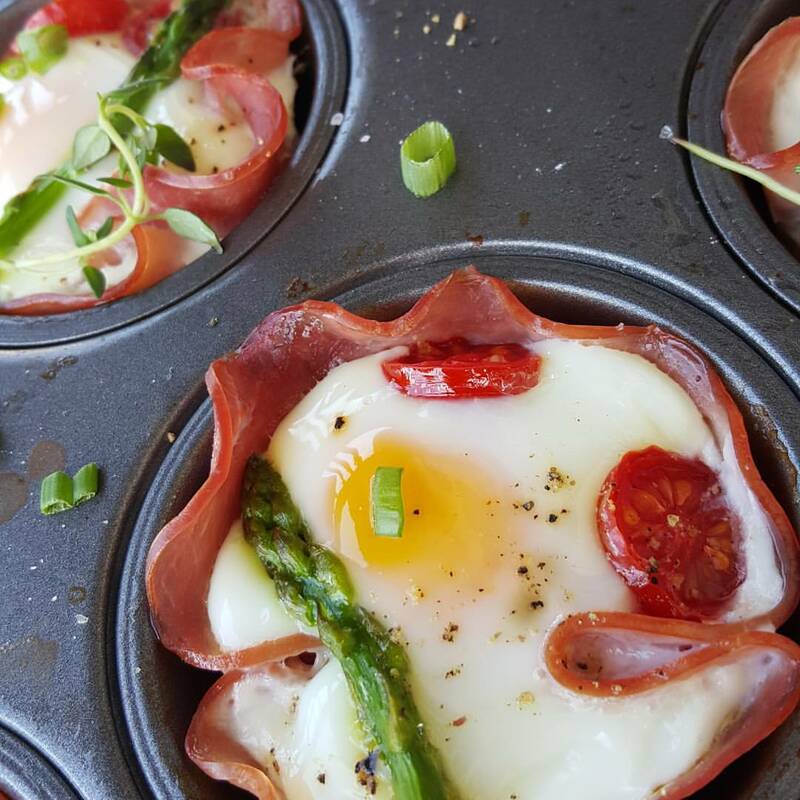 Carefully break egg into each ham slice. Top with Asparagus and tomato slices. Sprinkle with sea salt and pepper. Bake in preheated 350 degree oven for 18-20 minutes until egg whites are set. For food prep, cover tightly, refrigerated, for up to 3 days.